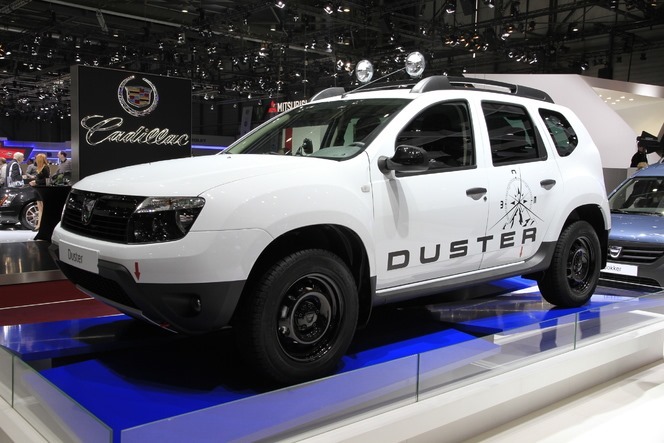 Dacia announced the prices for the Duster Adventure, the limited edition model that has been presented in Geneva. The Duster Adventure is specially equipped for off-road activities with two projectors on the ceiling, front and rear aluminum shields and black mask headlights. The Duster Adventure special edition will be sold in several European countries and the French have already announced the prices. Thus, the French customers who wish to buy a Duster Adventure will have to pay 14,350 euros for the 4×2 version powered by an 1.6 and 16v LPG engine with 105 HP. For the diesel fans, the Duster Adventure will have a price between 15,850 and 18,350 euros and will have two engine versions: the dCi 90 and the dCi 110. The Dacia Duster Adventure will be available from April in other European countries.